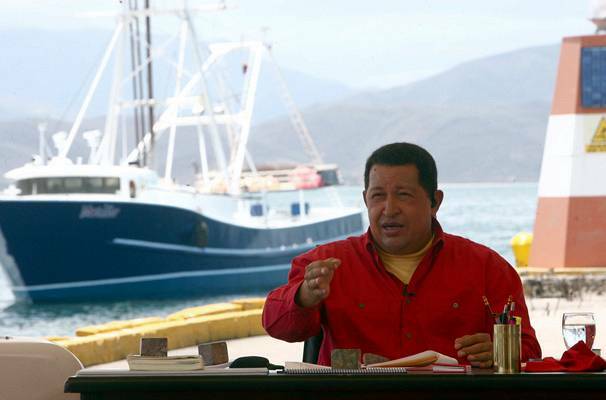 In his personal TV show Alo Presidente, Chavez reacts to a White House report calling him a “ demagogue “. He addresses President George W. Bush directly, although refers to him as “ Mr. Danger “, and accuses him of being a “ drunkard “ before concluding: “ You are a donkey Mister Bush “. 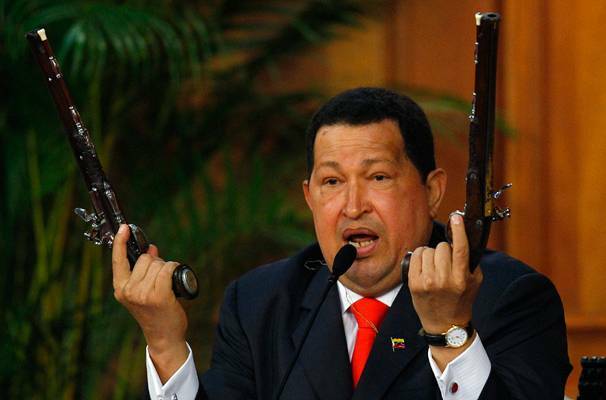 In 2006, at the General Assembly of the United Nations, Hugo Chavez resumes his public attack of President Bush, who had spoken to the room the day before. 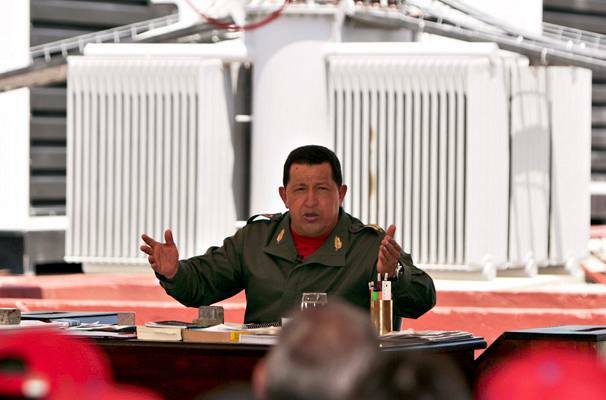 Chavez tells the gathered heads of state and government “ The devil was here yesterday. Yesterday the devil was here, exactly here “. 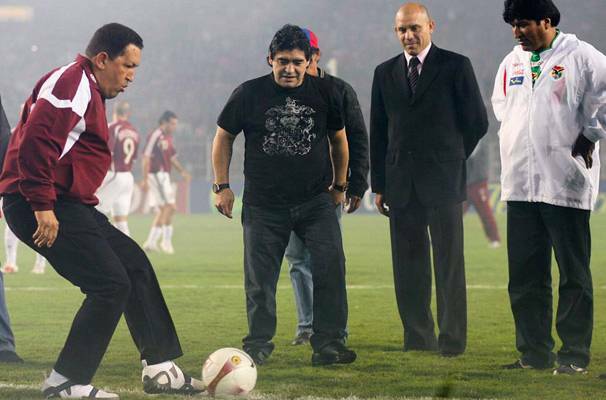 While some members of the audience laugh and applaud, Chavez makes the sign of the cross as if to protect himself from a curse before continuing by saying “ this stand still smells of sulphur “. 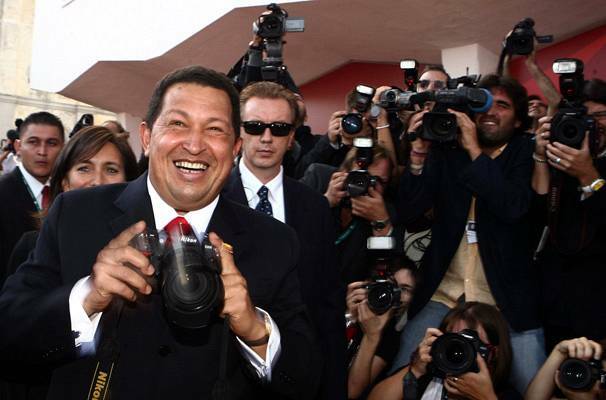 The whole transcript of Chavez’s speech is available on the UN website. 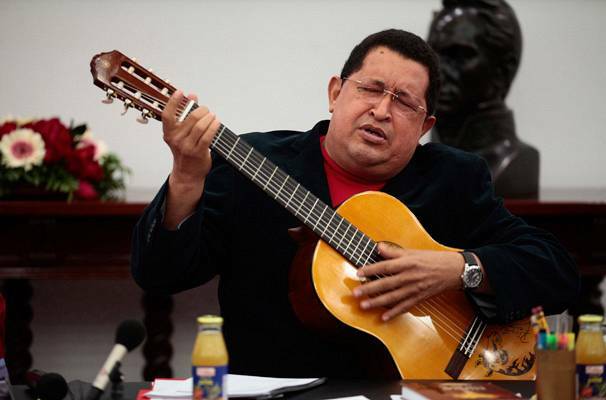 Paying tribute to Che Guevara on the 40th anniversary of his death on Alo Presidente, Chavez sings songs about Guevara to his great friend and ally Fidel Castro. November 2007 – ¿Por qué no te callas? 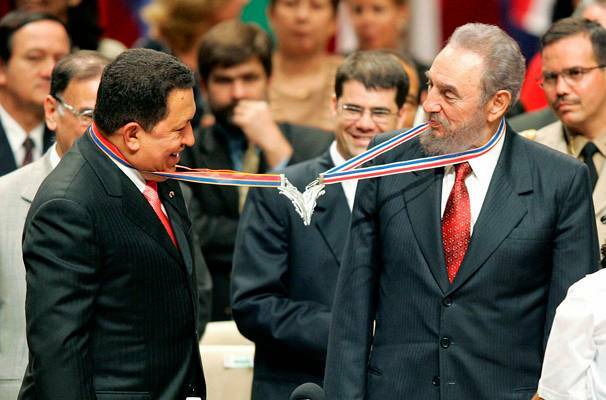 At the Ibero-American summit in Santiago, Chile in 2007 Spain’s King Juan Carlos asks Chavez “¿Por qué no te callas?”, or “Why don’t you just shut up?” Since the start of the summit Chavez had repeatedly called Spanish prime minister José Maria Aznar a “ fascist “ Aznar’s successor, José Luis Zapatero, tried to intervene, asking Chavez to show more respect but the Venezuelan leader simply spoke over him and continued his verbal attack against Aznar and Spanish business leaders. 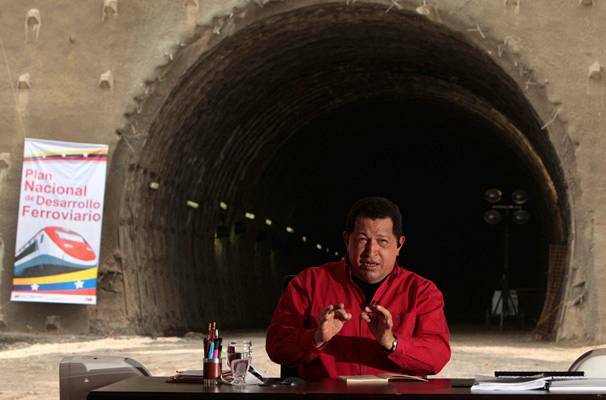 While giving a speech at the Miraflores Presidential Palace, Chavez is interrupted in full flow…by a power outage. 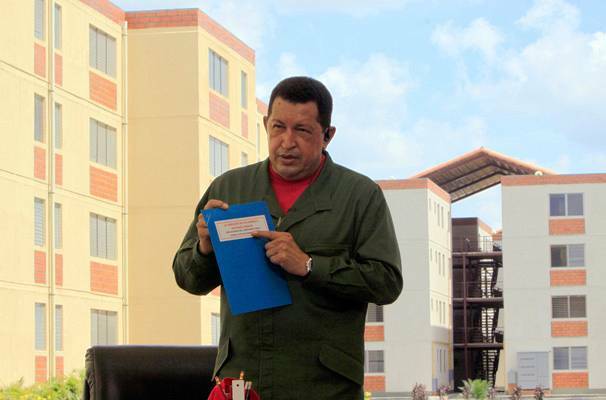 A few months before Venezuela’s 2012 presidential election, Chavez announces on Twitter that he would give a house as a present to his three millionth follower, 19-year-old Natalia Valdivieso. A good means to promote his housing construction project and encourage his supporters. @nataliaval7 Epa mi querida Natalia! Te has convertido en la seguidora nro. 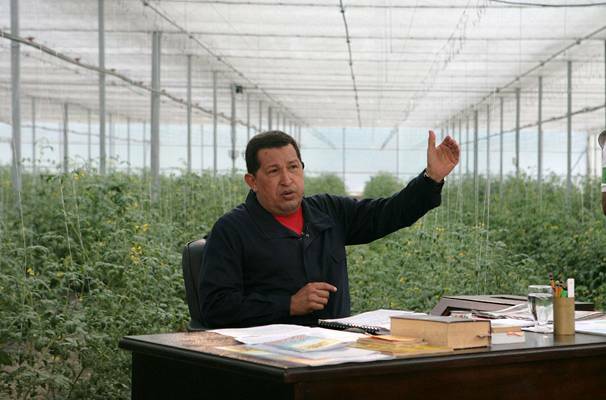 3 millones de ChávezCandanga! Gracias te doy y felicitaciones! The young Natalia replies that the gift made it the most beautiful day of her life. 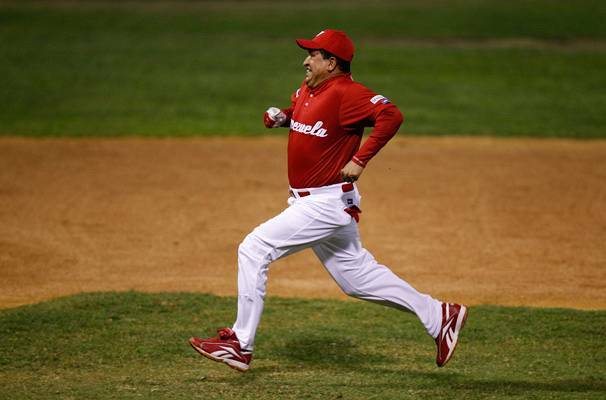 Chavez’ opponents however criticise his decision to offer her something that doesn’t in fact belong to him and that has been built with public money. BUENOS DIAS!!! 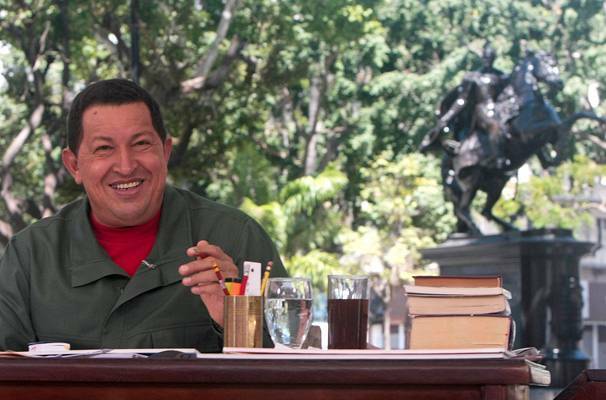 MI CORAZONCITO @chavezcandanga Padre mio! Amaneci sabiendo q hoy es el Dia masfeliz de mi vida!!! Millones deGRACIAS !!! 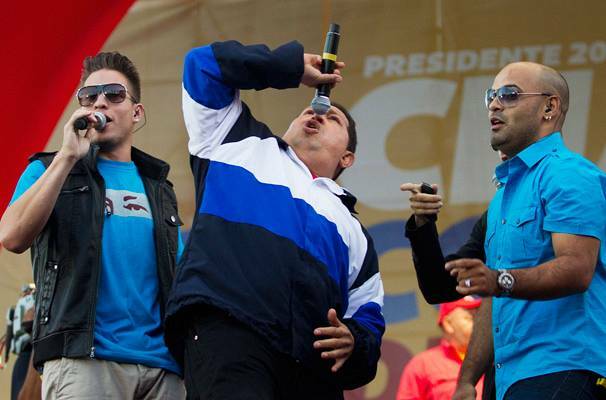 The government repeats this publicity coup for Chavez’ 4,000,000th follower, 20-year-old student Alemar Rosnaty Jiménez. 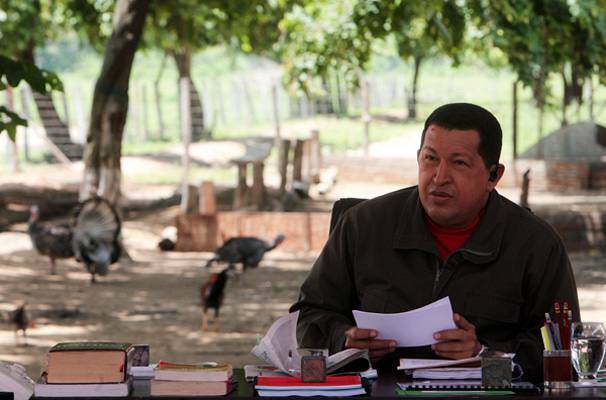 Every Sunday morning at 11:00, Chavez took to the airwaves for his TV show Alo Presidente. He took that opportunity to make political announcements, speak about his opponents (domestic or foreign) and answer questions sent to him by journalists and members of the public. 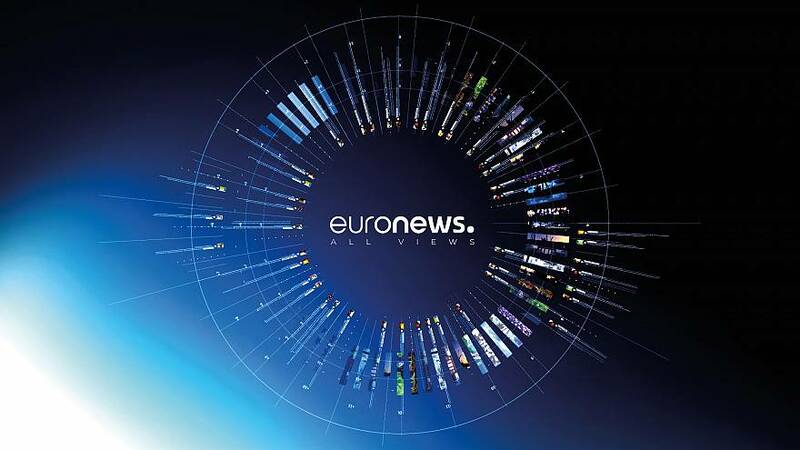 The show could be long, sometimes lasting over six hours. 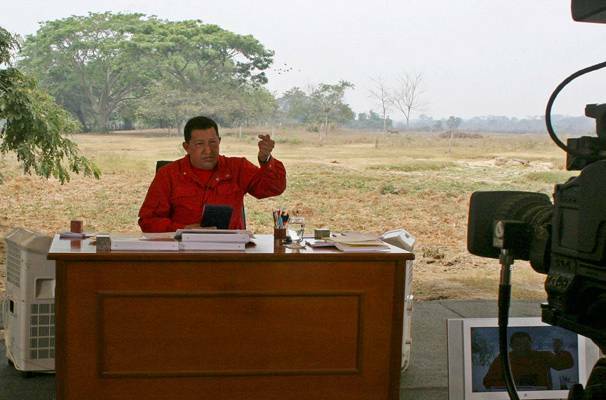 There was no fixed studio: all Chavez needed was a camera crew wherever he happened to be, and a desk for his papers.